These days, microwave ovens have become an essential part of a daily routine.It can heat and cook a meal in mere minutes. 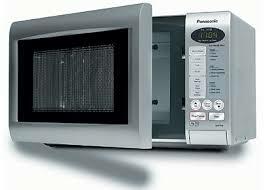 If your appliance has gone on the blink, get in touch with our team for a quick and dependable microwave repair. Our technicians have the knowledge and skills needed to fix your unit in a safe and professional manner. We are available for same appointment s across the Canoga Park region in California. So, don’t waste your time dealing with a broken appliance and schedule your microwave repair Canoga Park service right away! At Mega Appliance Repair Canoga Park, we are committed to providing our customers with high-quality services. Backed with years of hands-on experience, our technicians have gained the expertise in all types of repairs and can work on nearly all brands of home appliances. We arrive in fully stocked service vans to perform each microwave service in a timely manner. It doesn’t matter what happened to your appliance, you can count on us to set things straight. Besides microwave oven repairs, our team specializes in installation and maintenance services. Whether you need to install a new unit or replace the current one, we can complete the job within a short notice. Not only will we double-check everything to ensure the appliance works well but also provide you with useful tips on how to make it serve longer. When you opt to go with our company for your Canoga Park microwave repair,you will be pleased with a high level of our appliance repair services.Give us a call today if you want to learn more about our services or book the appointment with our specialists.We would be happy to assist you!